Washington, DC: On September 7, 2017, at the International Peace Institute (IPI) in New York City, the National Council on U.S.-Arab Relations (National Council) was honored and privileged to present its Distinguished Global Leadership and Humanitarian Award to Mr. Abdulaziz Saud Al-Babtain. The Award was conveyed in recognition of his indefatigable and extraordinary international efforts to promote cultural understanding, education, and bridges of knowledge between East and West. [Left to Right] National Council Board Member Ms. Paige Peterson, Council Executive Vice President Mr. Patrick Mancino, Council Founding President and CEO Dr. John Duke Anthony, Mr. Abdulaziz Saud Al-Babtain, and International Peace Institute President Mr. Terje Rød-Larsen. National Council Founding President and CEO Dr. John Duke Anthony, Council Board Member Ms. Paige Peterson, and Council Executive Vice President Mr. Patrick Mancino personally conveyed the award to Mr. Al-Babtain. It was presented in the offices, directly across from the United Nations, of IPI’s legendary Mr. Terje Rød-Larsen, renowned former emissary on behalf of Palestinian human rights. 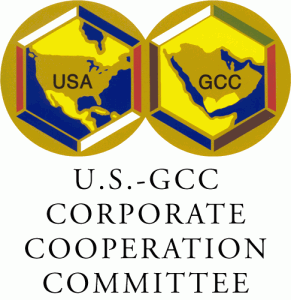 As the 33rd Gulf Cooperation Council (GCC) Ministerial and Heads of State Summit approaches on December 24-25, 2012 in Manama, Bahrain, the Arabia, the Gulf, and the GCC Blog presents for reference a listing of GCC-related posts from the past several months. 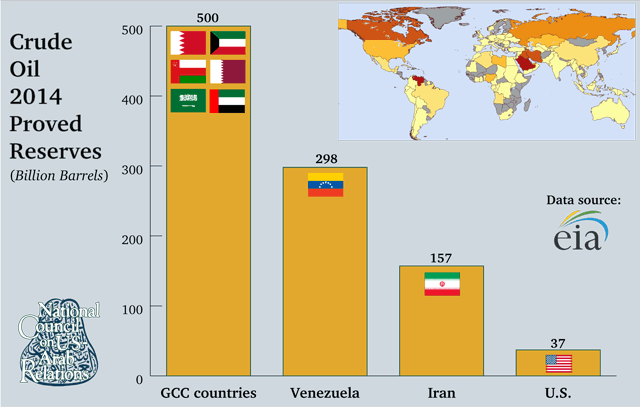 In the past half century, no Arab sub-regional inter-state organization has been as successful as the Gulf Cooperation Council (GCC), established in May 1981. 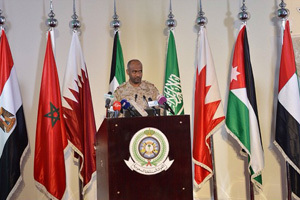 Next week, Bahrain will host the 33rd GCC Ministerial and Heads of State Summit in Manama (December 24-25, 2012). 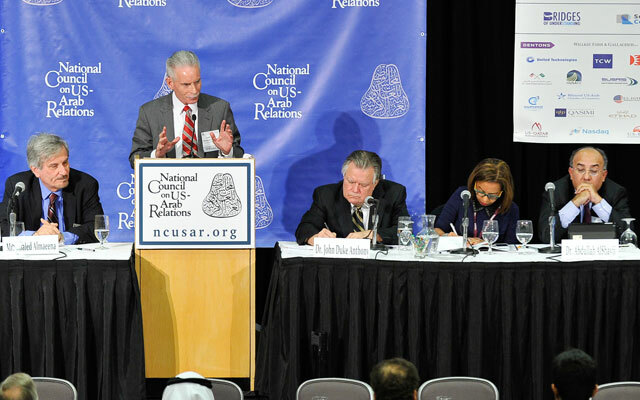 In an effort to explore how the GCC and its six member-countries (Bahrain, Kuwait, Oman, Qatar, Saudi Arabia, and the UAE) achieved what they have accomplished, the Arabia, the Gulf, and the GCC Blog presents a 2006 article from Dr. John Duke Anthony, Founding President and CEO of the National Council on U.S.-Arab Relations and the only American to have been invited to each of the GCC’s Ministerial and Heads of State Summits since the GCC’s inception, which examines some of the dynamics surrounding the GCC’s formation and strategic position.